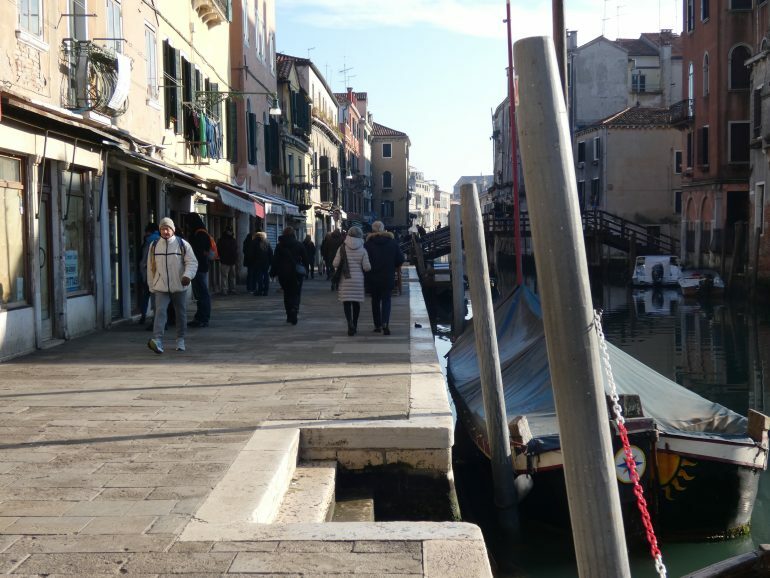 Walking in Venice seems so natural that we can easily forget on what you are walking on. If we turned around Venice we would find a forest of thousands of poles. 1500 years ago the first inhabitants made a technological bravery of extraordinary audacity: to build a city on water in an environment that was absolutely unsuitable at first sight. 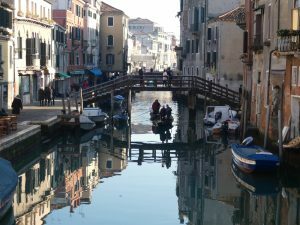 To settle down, the Venetians take land from the water; inspired by the techniques of salt workers, they select land that is close to each other and then insert piles into the clayey soil planted up to hard soil deep along the perimeter. The clay keeps the wood in an oxygen-free environment and fossilizes the wood that is kept for centuries. Then they digged small canals to evacuate water and once dry they filled to make flat soil and be able to build. The base of the building is in Istrian stone which is waterproof. 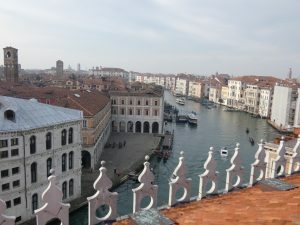 The 124 islands – for a total of 20km² – were built from the 8th to the 15th century reproducing the urban layout of each medieval city: square, church, houses around.